The Yorkshire Museum is situated in York Museum Gardens, in the centre of York. It was founded by the Yorkshire Philosophical Society to house their geological and archaeological collections, and was originally situated in Ousegate, until the site became too small. 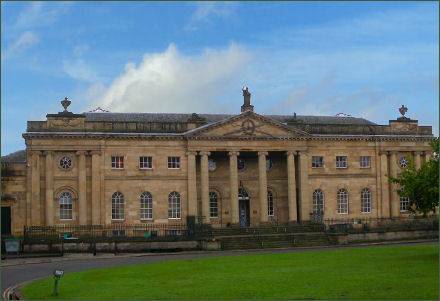 In 1828, the society received land formerly belonging to St Mary's Abbey by royal grant to build a new museum. A two million pound refurbishment project was carried out at the museum in 2010. 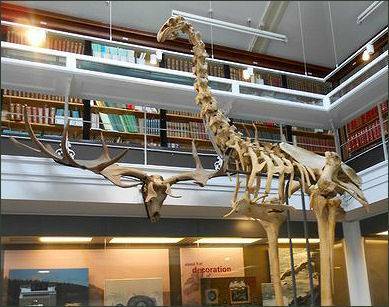 The Museum houses five galleries showcasing some of Britain's finest archaeological treasures and many rare animals, birds and fossils. Biology - 200,000 specimens, there are two stuffed specimens of the extinct great auk, an almost complete skeleton of an extinct moa and a large collection of specimens from the Yorkshire region including the remains of elephants, cave bears and hyena from Kirkdale Cave dated to the Quaternary period, around 125,000 years. Geology- over 112,500 specimens of rocks, minerals and fossils. Fossils make up the majority of the collection numbering over 100,000 samples, and include important specimens from the Carboniferous, Mesozoic and Tertiary periods. Astronomy -The astronomy collection is mainly kept in the York Observatory in Museum Gardens. Archaeology -The archaeology collection has close to a million objects that date from around 500,000 BC to the twentieth century. 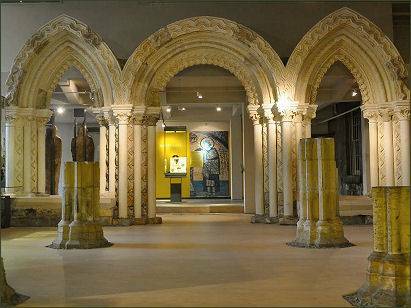 Most of the objects from the Roman, Anglo Scandinavian and Medieval periods are from the York and Yorkshire area. These include Coppergate Helmet, discovered in York in 1982, The Medieval Shrine of Saint William of York, the Bedale Hoard and the Middleham Jewel, discovered in 1992 near Middleham Castle. A statue of the Roman God Mars is prominently displayed, and there is an interactive display describing the lives of some of the Romans whose remain have been found in York. 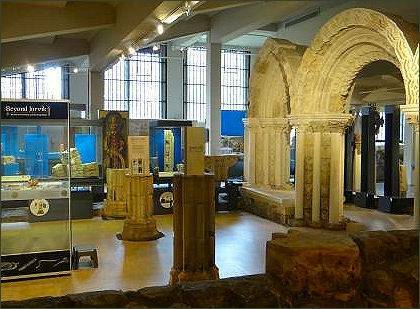 The final record of the famous lost Roman legion, the ninth legion is on display as part of the Roman gallery. The stone inscription, which has been dated to Trajan's twelfth year as emperor, between 10 December 107 and 9 December 108, commemorates the legion's rebuilding in stone of the south-eastern wall of Eboracum's legionary fortress.